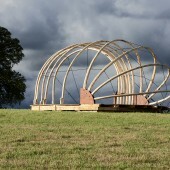 Dartmoor Arts Project Spatial Structures course. 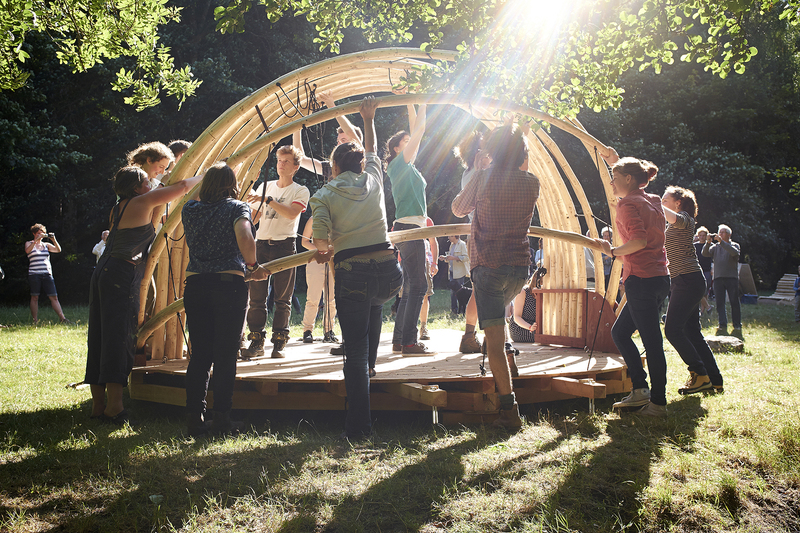 Dartmoor Arts Project Spatial Structures course runs every July and is one of the only hands on, 1:1 design and build experiences for young architects currently available in the UK. 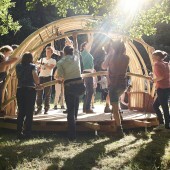 Students get to spend an intense 6 days collaboratively designing and building an inhabitable structure on the edge of Dartmoor using only locally sourced timber under the tuition of professional architects and timber specialists. 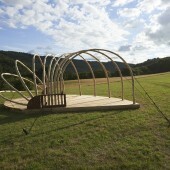 The project is part of the Dartmoor Arts Project week long summer school funded by Arts Council England. 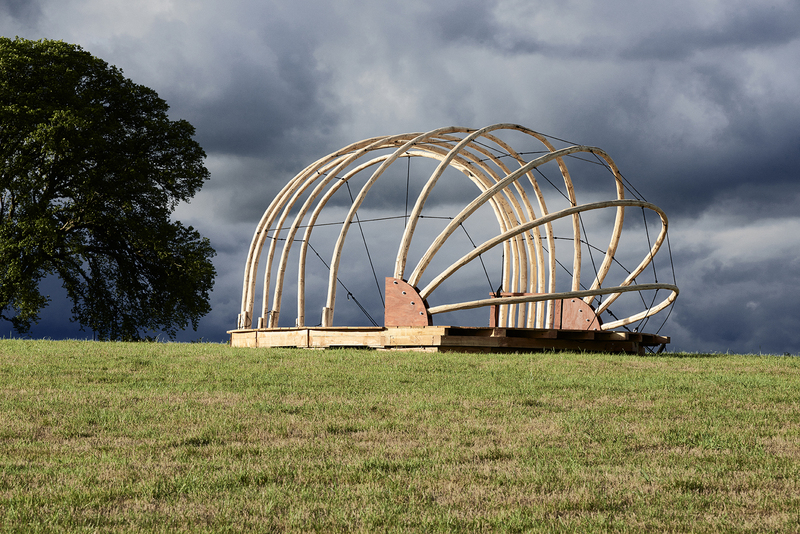 Over 120 artists & architects come together for a week of creative practice plus a programme of talks by contemporary artists, photographers, writers & thinkers. Research Question: Spatial Structures encourages the development of an architectural agenda through the direct experience of constructing an experimental installation, designed to reveal an aspect of place. Students work together as a group throughout the week, making group decisions, from concept, to design and construction. 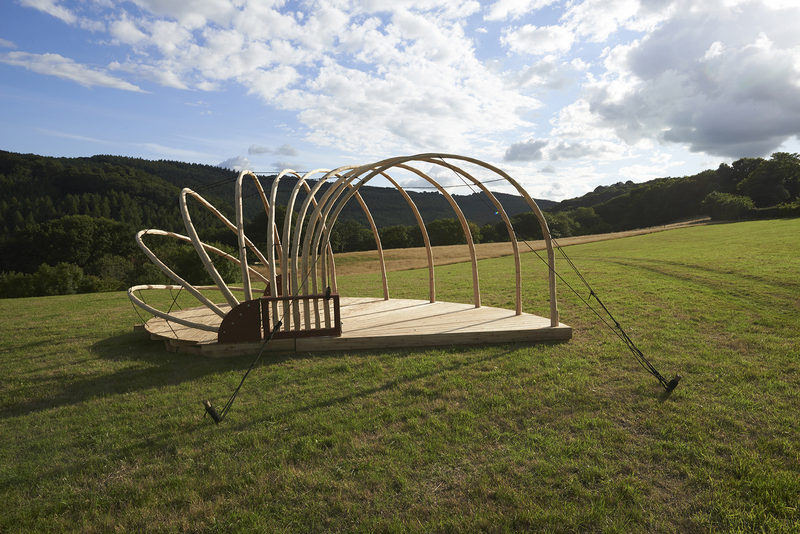 The entire week is spent working outdoors on site just outside Drewsteignton, dartmoor, Devon in a rural location. A finite amount of locally sourced timber is used for the projects. Students are typically young architects and designers who are at the beginning of their training.